Van Gogh paintings. Ah, Vincent Van Gogh. One of the most famous painters in the world, and a staple in modern art. Vincent Van Gogh was in fact a Post-Impressionist painter who painted about 2,100 artworks in his brief, but creative lifetime. He died penniless, from a self inflicted shot to his chest at the age of 37, and is sadly now more respected, than when he was alive. According to his brother Theo, Vincent’s last words were: “The sadness will last forever”, but the same can be said of his art as well. 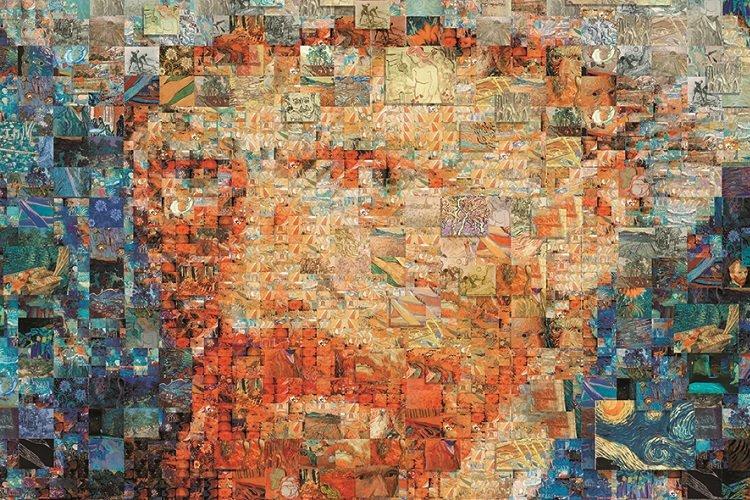 The Van Gogh paintings include landscapes, still lifes, portraits and self-portraits, and are characterized by bold colors and dramatic, impulsive and expressive brushwork that contributed to the foundations of modern art. 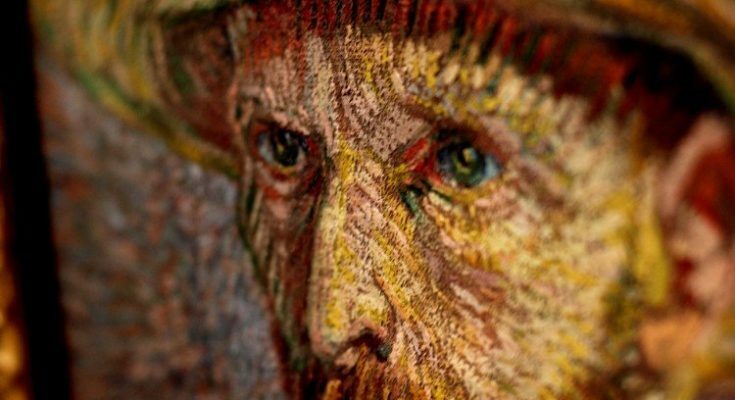 The Van Gogh paintings are also among the world’s most expensive paintings. For instance, Portrait of Dr Gachet, Portrait of Joseph Roulin and Irises are worth more than 100 million dollars. But, what about the Vincent Van Gogh paintings? What do they represent and what’s depicted on them? I made a brief selection of the most famous and beloved Vincent Van Gogh paintings and I hope that you enjoy my 12 separate picks. Here they are. Painted in June 1889, it depicts the view from the east-facing window of his asylum room at Saint-Rémy-de-Provence, just before sunrise. Following van Gogh’s death in 1890, Theo inherited all of his brother’s works. But when he died in the fall of 1891, his wife Johanna Gezina van Gogh-Bonger became the owner of Starry Night. It has been in the permanent collection of the Museum of Modern Art in New York City since 1941. This self-portrait was one of about 40 that he produced over a 10-year period. Van Gogh painted himself, mostly because he didn’t had the money to pay for models. The Musée d’Orsay in Paris obtained the painting in 1986 and it’s been in the collection since. 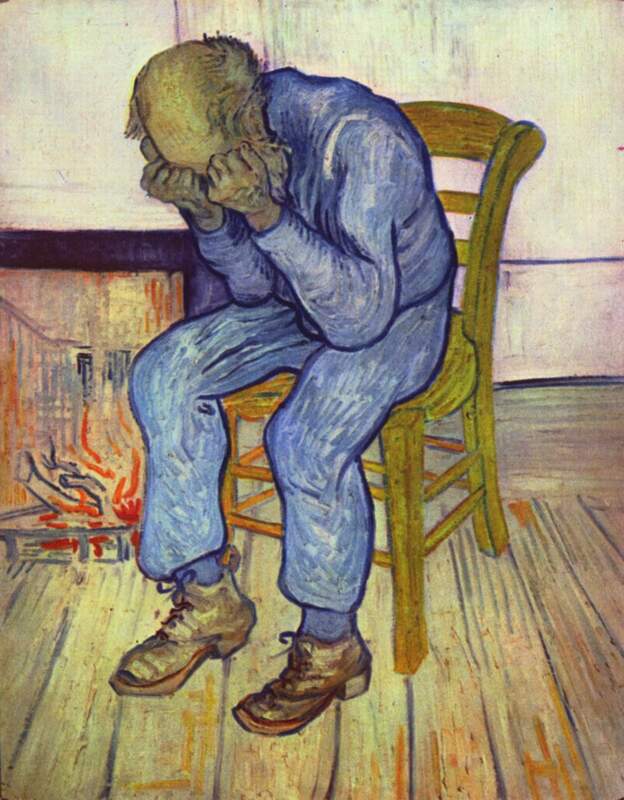 It was painted shortly after he left the St. Remy asylum in July 1889 and shows that he was still fighting his demons. It is arguably the most intense self-portrait in the history of art. Painted at the Saint Paul-de-Mausole asylum in the last year before his death in 1890, Van Gogh actually started painting Irises within a week of entering the asylum. He called it “the lightning conductor for my illness” because he felt that he could keep himself from going insane by continuing to paint. 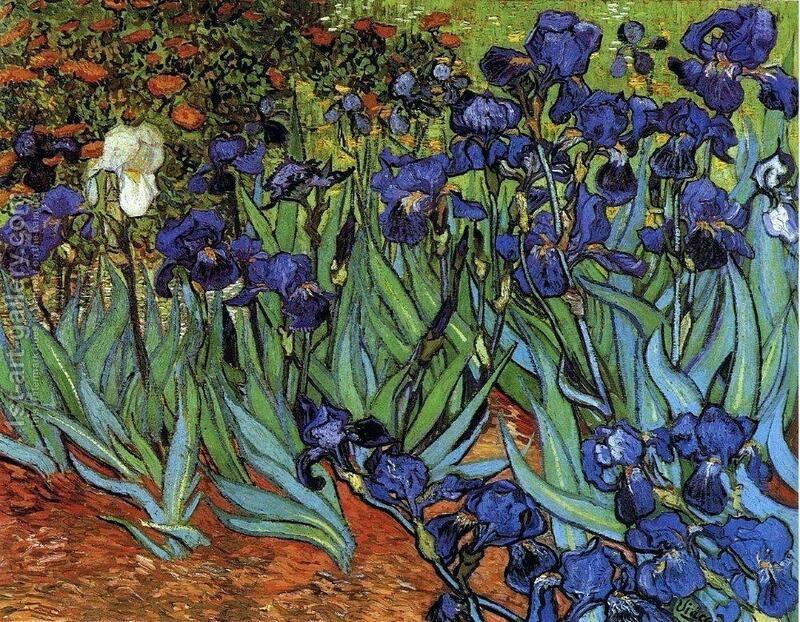 Irises is on the inflation-adjusted list of most expensive paintings ever sold, and since 1990, the owner of the painting is J. Paul Getty Museum in Los Angeles. Almond Blossom, was painted in 1890 in honor of a special event in Vincent’s life. On January 31, Vincent’s brother Theo and his wife Johanna had a son, and they named him Vincent Willem Van Gogh. 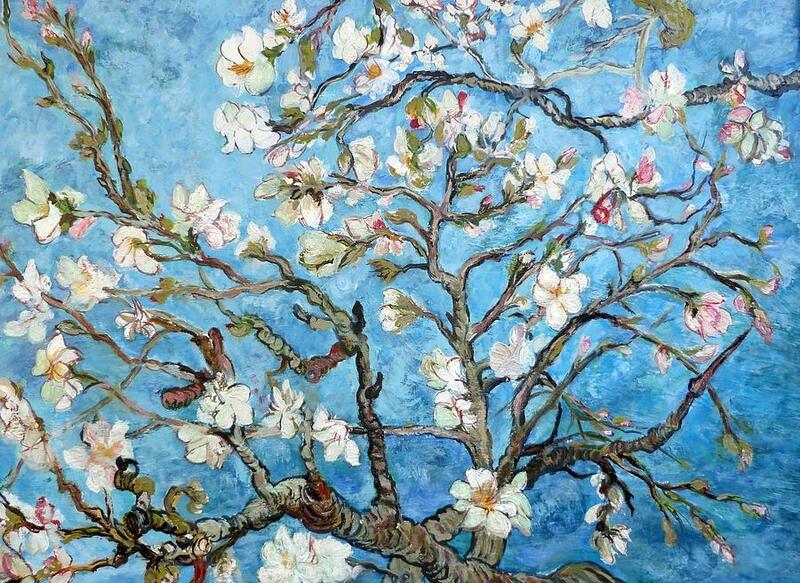 Almond Blossom is unlike any other of van Gogh’s paintings. The branches of the almond tree seem to float against the blue sky and fill the picture plane, and it’s truly one of most beautiful Van Gogh paintings. 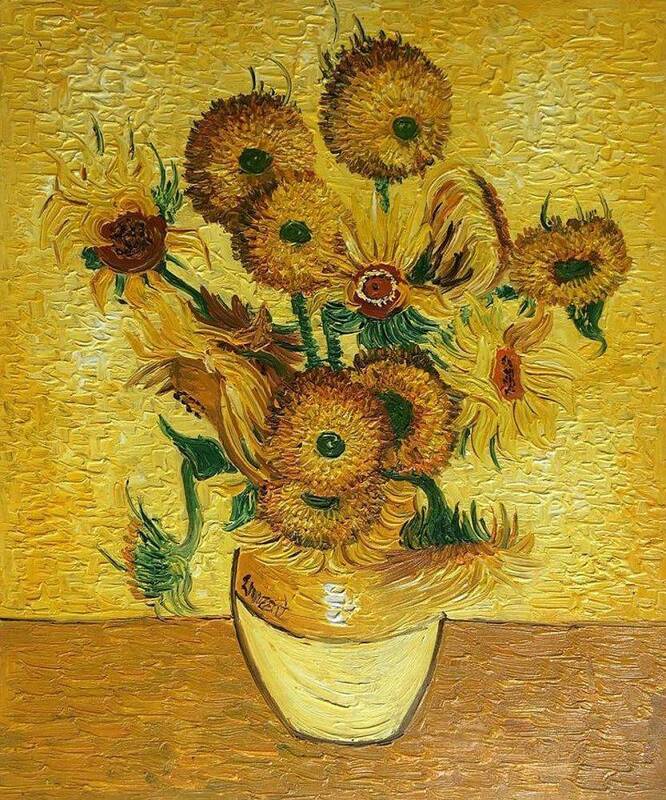 The Van Gogh painting belongs to a series of four extraordinary sunflower still lifes that he created in less than a week during the summer of 1888. Cold northern winds prevented him from working outdoors, and he had to improvise. But did you know that, at an exhibition in Brussels in January 1890 a Belgian artist threatened to withdraw his own pictures? after he saw Van Gogh’s Yes, didn’t want “to find himself in the same room as the laughable pot of sunflowers by Mr Vincent”. 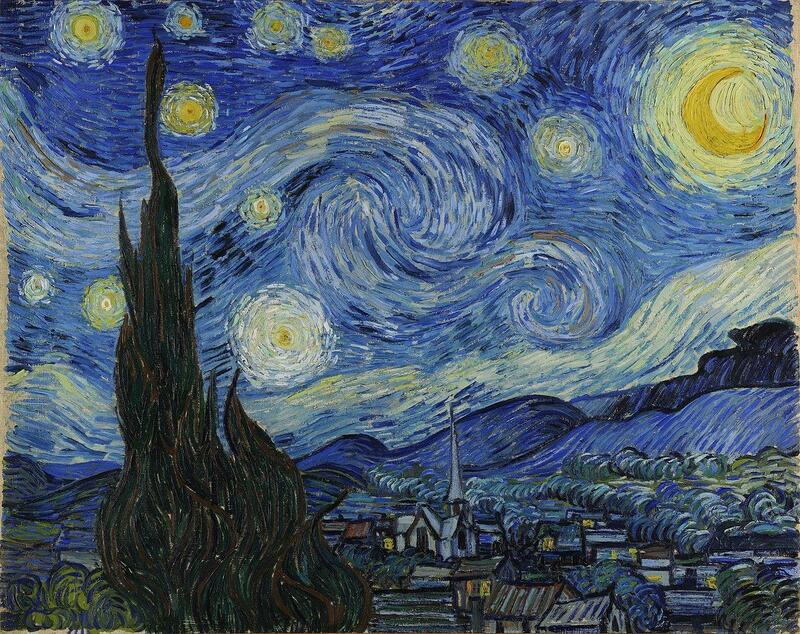 He called Van Gogh, “an ignoramus and a charlatan” but today it’s considered to be one of the best Van Gogh paintings. 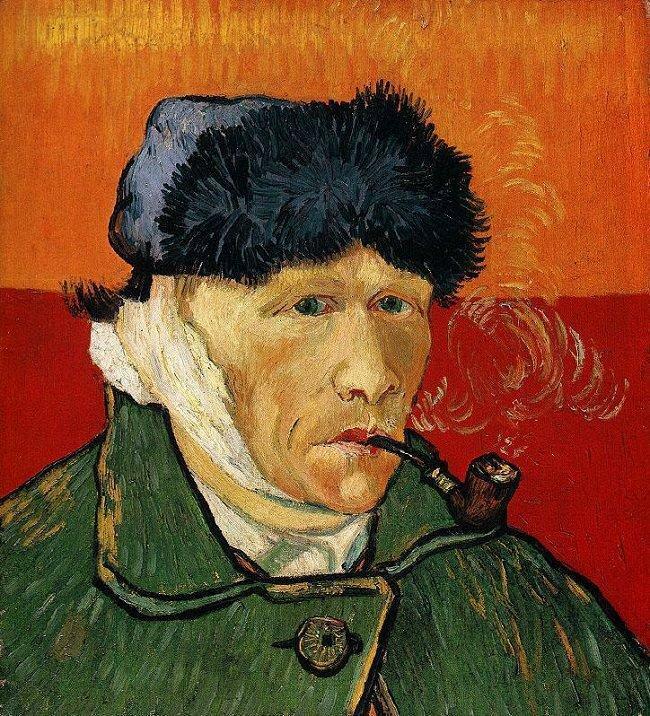 Self-Portrait with Bandaged Ear was done after Van Gogh cut of his right earlobe. Yes. Van Gogh’s friend Paul Gauguin came to stay with the painter in Arles at the end of 1989. But during one of their arguments, Van Gogh had a seizure during which he threatened Gauguin with a razor. However he injured himself, severing part of his left ear and surprisingly confessed to having no recollection of what happened during this fit. He died in march the next year. It was painted in 1888, at a spot on the bank of the Rhone that was only a one or two-minute walk from the Yellow House. 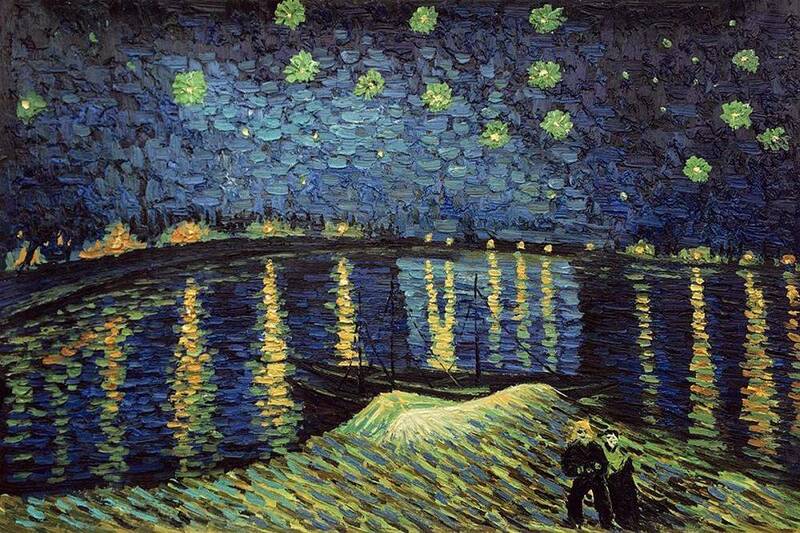 Starry Night Over the Rhone is the view that Van Gogh had of the Rhone River from his rented apartment in Place Lamartine. It also commemorates a happier time in Van Gogh’s life. He used gas lanterns to illuminate his work space while painting at night, and was very pleased with the finished result. Exquisite Van Gogh painting, don’t you think? Van Gogh painted twenty-two self-portraits while living with his brother in Paris from 1886-1888. 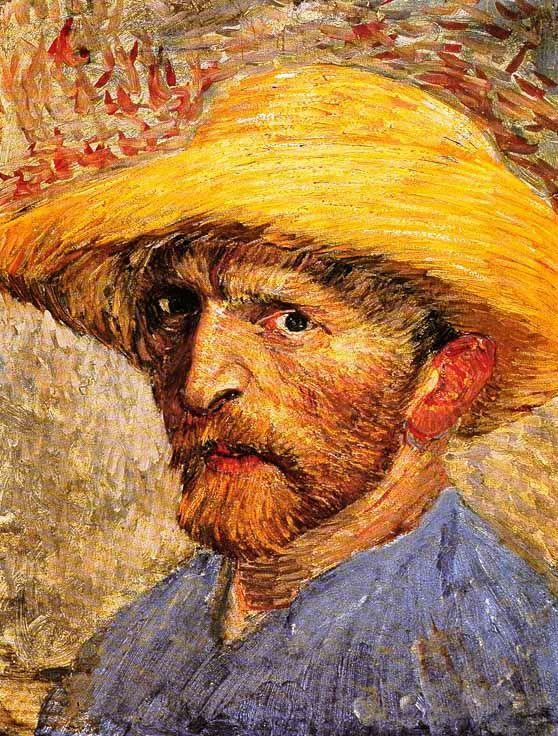 Later ones, like this Self-Portrait with a Straw Hat, reveal the artist’s crumbling health. He’s dressed in the yellow straw hat and work coat of the peasant laborer. If you take a good look at this painting, you’ll notice that he’s portrayed with different eye colors. One is blue and one is green eye, and it’s one of the best pieces of art in all of the Van Gogh paintings. Created in September 1888 in Arles, the interior depicted is the Café de la Gare, 30 Place Lamartine, run by Joseph-Michel Ginoux and his wife Marie. 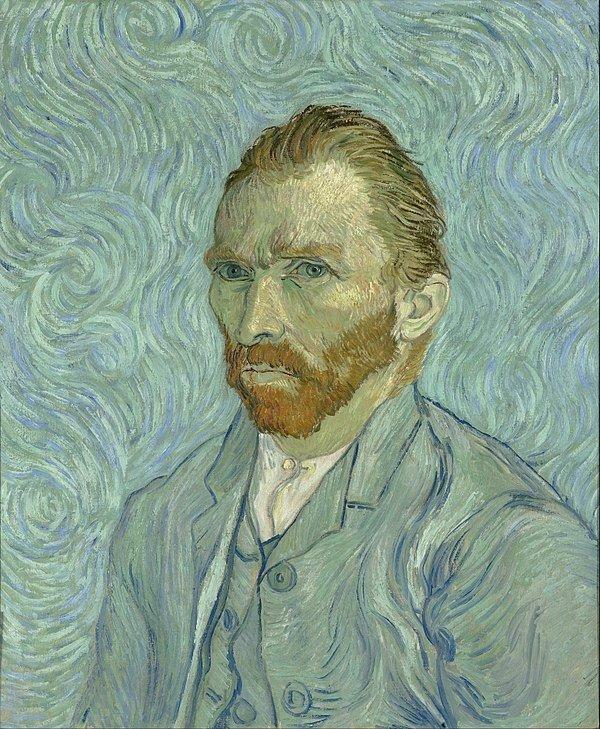 The work has been called one of Van Gogh’s masterpieces and one of his most famous paintings. 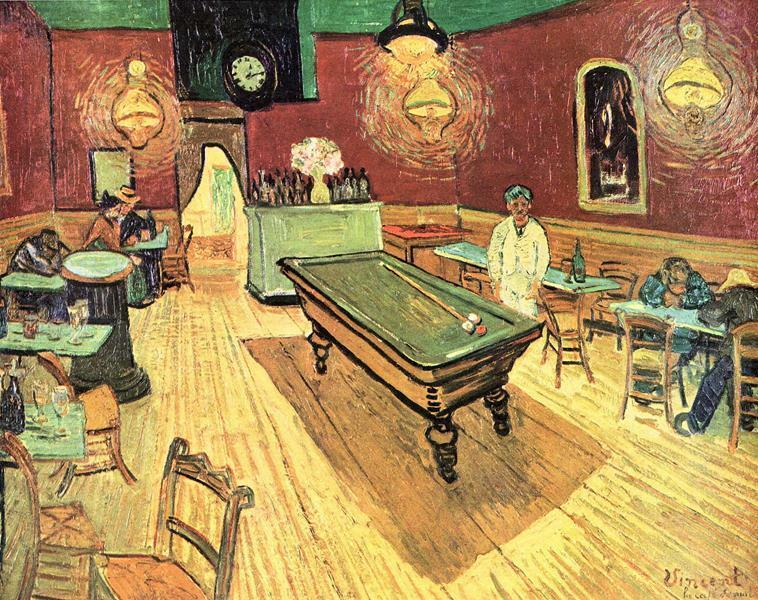 Van Gogh used the picture to settle debts with Ginoux, the landlord said to be depicted (standing) in it, and The Night Café is now owned by Yale University. Van Gogh’s mother Anna Carbentus van Gogh was an amateur artist herself, and is drawn in this picture from a black-and-white photograph. Vincent here captures his mother’s dignified and proud nature, and according to Van Gogh’s letters to his brother, Theo, this portrait of their mother was based upon a black-and-white photograph. 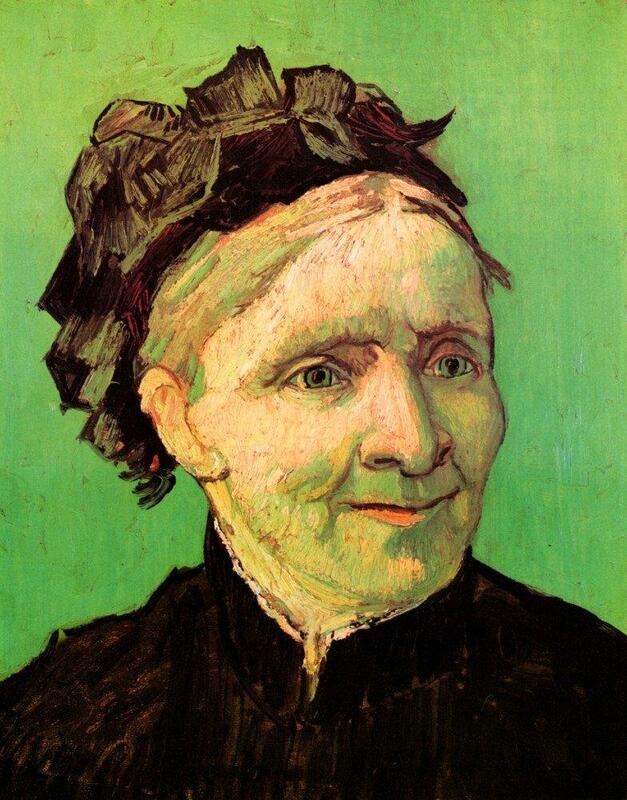 Van Gogh wrote, “I am doing a portrait of Mother for myself. I cannot stand the colorless photograph, and I am trying to do one in a harmony of color, as I see her in my memory.” The painting is currently part of The Norton Simon Museum of Art, Pasadena, California. 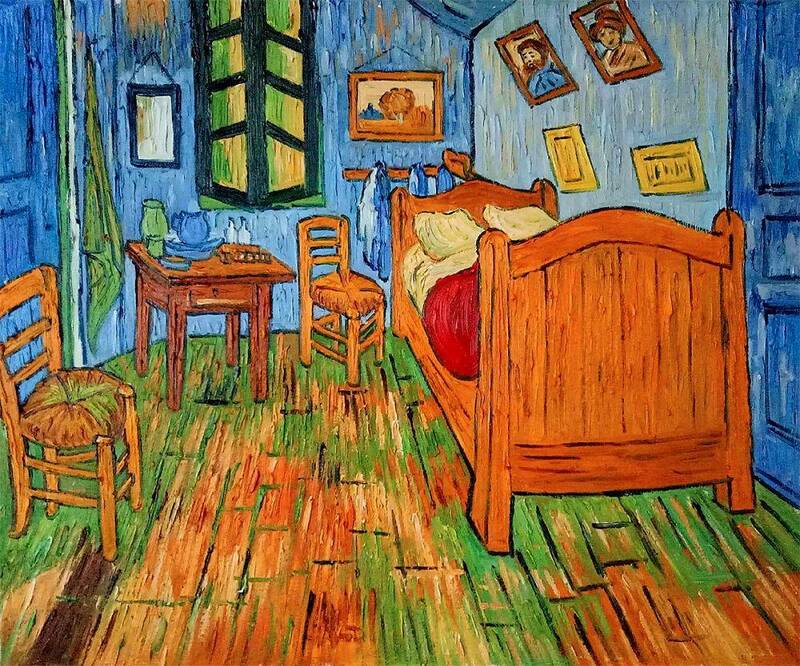 Bedroom in Arles is the title given to each of three similar paintings but Van Gogh’s own title for this composition was simply The Bedroom. The painting depicts van Gogh’s bedroom at 2, Place Lamartine in Arles, Bouches-du-Rhône, France, known as the Yellow House. All three versions of the Bedroom were brought together for the very first time in North America, at the Art Institute of Chicago in 2016. Van Gogh made At Eternity’s Gate in 1890 in Saint-Rémy de Provence based on an early lithograph. The painting was completed in early May at a time when he was convalescing from a severe relapse in his health and some two months before his suicide. The man’s his hands are so dark, they nearly appear decayed, rotted and the blue of his work clothes are not nearly “as deep” as the blue of the fireplace frame. One of the best Van Gogh paintings out there. What do you think of our Van Gogh paintings selection? Which one was your favorite painting? Did you liked Van Gog’s artwork and his paintings? If you did, make sure to share this post with your family and friends. Thanks.